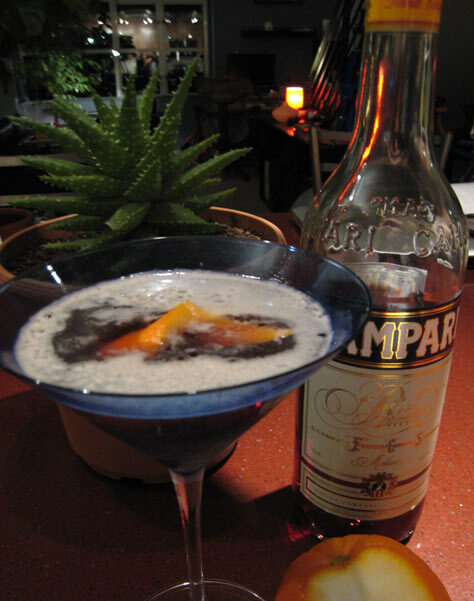 I’ve had this bottle of Campari in my bar for quite some time, I never quite developed a taste for it. So I gave it a second chance, and as it turns out it’s fantastic in the right cocktail. The New Pal cocktail is a twist on the Old Pal cocktail which has a nicer balance. I’d also recommend the Boulevardier as a Campari cocktail. Adventures in Cocktails © 2009. All Rights Reserved.